A strong client database is the backbone to any successful career. Quickly maximize the power of RealOffice360™ by importing your clients from your other CRM or contact manager. Why Should I Import My Clients? How Do I convert my client information into a CSV File for Import? Your clients are the core of your real estate business and a CRM without clients, is like a Rocket Ship without fuel. It’s fun to see, but it will never take your career to the next level. To do this, you need fuel, you need your clients. Most of us have client information lying around so it’s important to gather all of it up, from your MLS® accounts, other CRM’s, napkins, spreadsheets. Once you have this information, its time to get it into a format that can be used as fuel, a CSV or Comma Seperated Value Spreadsheet. Want Help? Send us an email at support@realoffice360.com as we would be happy to get you up and running! You can include values for any of the default RealOffice properties found below. For reference, download a sample CSV. Once you have the CSV file, proceed down to How To Import Your Data into RealOffice360™. Need Help? Send us an email at support@realoffice360.com as we would be happy to get you up and running! 2. Change the “Save as type” or “Format” Field to read: “CSV (Comma delimited)”. 3. Enter a name for the document and click Save. 1. Click Search for Contacts from the Contacts menu in the main menu bar. 4. Click Export Contacts at the bottom of the page. 5. Select All Contacts and Contact record and all associated items then click Export. All Your Contacts on your iPhone? How to Export Contacts from Apple iPhone or iCloud to a CSV. 1. Head over to the iCloud website and log in. Click on "Contacts" once logged in. 2. All of your iCloud contacts will appear on your screen. In the bottom right corner, locate the gear and click on this to open your Settings. 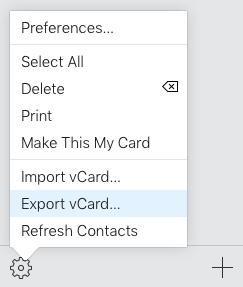 Once the Settings menu opens, click "Select All", then click "Export vCard". 3. This will automatically download on your computer, be sure to check your Downloads folder. We are part way there! 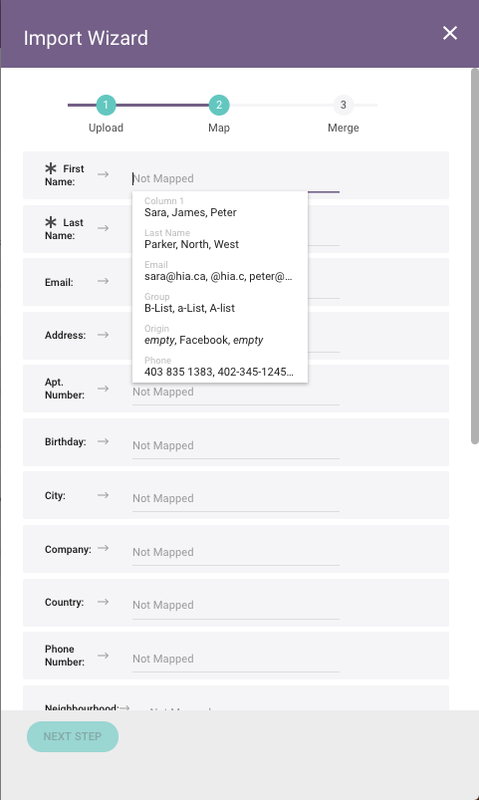 We now have a vCard with all of your contacts and we need to convert it to a CSV. You can find free converter software online however we reccomend a specific vCard to CSV Converter. 4. Head over to the vCard to CSV Converter page using your browser. vCard-File: Browse the vCard file we created above. 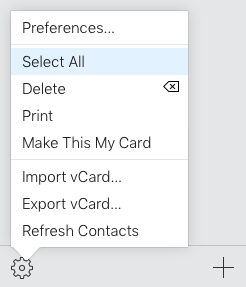 Format: CSV , Comma, Check off "Add header line"
Once you have uploaded your vCard file, updated the settings as required above, you are ready to click "Convert"! The file will be automatically converted and downloaded to your computer. Be sure to check the Downloads folder for your new CSV file! To import your clients from a existing CRM or database, you simply need to follow the steps below. 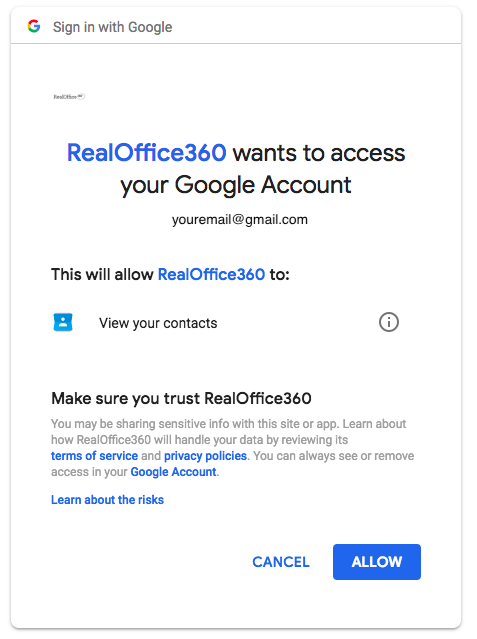 If at any time you would like help importing your clients, send us an email to support@realoffice360.com and we would be happy to assist. 1. Collect your existing clients into a spreadsheet. See instructions above. 2. In Database, click on "Import List"
3. Upon launching the Import Wizard, you will be guided through a simple three step process, click to browse your Spreadsheet file for upload. 5. In step two we ask you to "map" the fields in your spreadsheet to our categories in RealOffice360™. 6. The final step is to tell RealOffice360™ what to do with duplicate data. Merge: If the email address already exists in your Client List, and you choose merge, this client will be updated with the import. Duplicate Entry: If the email address already exists in your client list and you choose duplicate, this client will be created a second time. 7. Click "Begin Import" and you are all done! Step #1 - Select Your CSV File. Step #3 - Select What Option You Wish for Duplicate Contacts. Upon successfully completeing your import, you will see the following screen. Need help? Contact us at support@realoffice360.com! Go to the Database section of the RealOffice360™ CRM. Once on this page, click on the Import/Export Button circled in red below. Upon clicking on "Import contacts from Google", you will then be walked through the process of logging in to your Google Account. 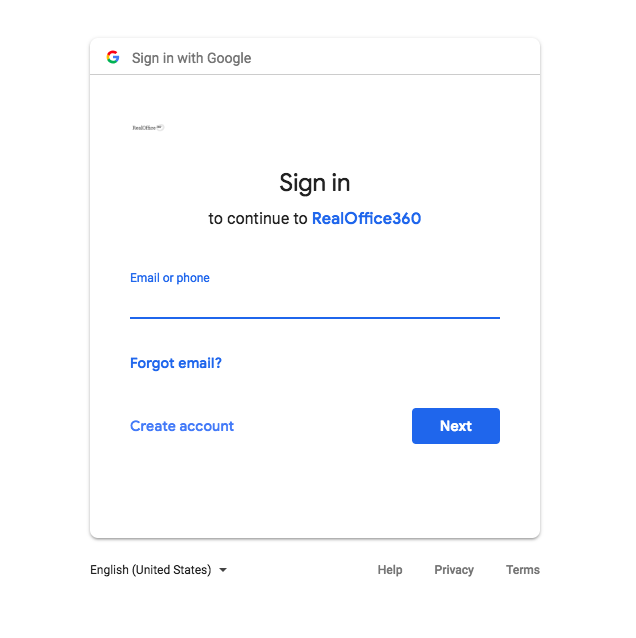 Upon completing the above process, you then see the following screen, asking if you would like RealOffice360™ to merge or create duplicate clients. We reccommend choosing "Create Multiple" as that way you can personally merge each client in your database. Alternatively you can let us do the hard work by pushing "Merge Data". Once you have selected an option, click "Begin Import". IMPORTANT - UPON CLICKING "BEGIN IMPORT" THE PANEL WILL GO BLANK AND A LOADER WILL BE SHOWING. THE PROCESS CAN TAKE SOME TIME SO BE PATIENT. Once complete you will see the following screen. Once the process is complete, you will get a summary page telling you how many contacts we read in Google and of those how many were imported. IMPORTANT - YOU WILL LIKELY SEE A DIFFERENCE IN THE NUMBER OF CONTACTS DETECTED AND THE NUMBER IMPORTED. WE WILL ONLY IMPORT CONTACTS THAT HAVE BOTH A FIRST AND LAST NAME FROM GOOGLE. IF THE CONTACT DOESNT HAVE BOTH OF THESE FIELDS, WE CANNOT IMPORT. That's it, you can then click done and you will see all of your new contacts in your RealOffice360™ CRM Database!